Apple has reportedly tapped Taiwanese Simplo Technology and Chinese Shenzen Desay Battery Technology to manufacture iPhone 6 batteries, reports Digitimes. Another iPhone battery supplier, Dynapack, is still awaiting orders, though the company is currently busy providing batteries for the iPhone 5 and iPhone 5c, supply chain sources reveal. The sources pointed out that Desay landed over 50% of the orders; however, because the next-generation iPhone still has not yet entered mass production, Dynapack is still trying to court Apple for orders. China-based battery maker Sunwoda is also trying to land orders. Dynapack, on the other hand, has a contract with Apple until 2015, the same anonymous supply chain sources told Digitimes. This increases the possibility of their getting iPhone 6 battery orders, despite currently having no orders confirmed for the next-generation Apple handset. It seems to depend only on Dynapack’s strategy, because iPhone battery profits are much lower than those for – for example – notebook batteries. Supply chain sources speculate that Dynapack could increase profits by supplying batteries to other parties. The iPhone 6 will likely hit the shelves sometime this fall. Rumours of the highly anticipated handset made waves in the tech world, because Apple is expected to increase the display size to 5.7-inch. This also means a bigger battery. 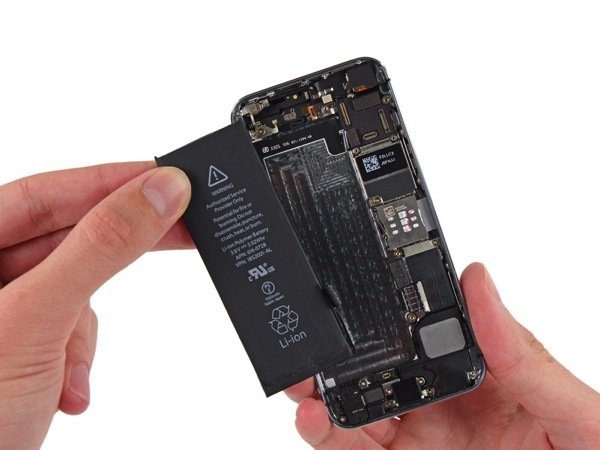 Earlier in February, a rumour from South Korea suggested that the iPhone 6 would sport a bigger, 1,800 mAh battery compared to the iPhone 5s’ 1,560 mAh, 5.92 Wh battery.